Brilliant! I really enjoyed this book it is the best! I enjoyed this book and I think other people may find it interesting. This book is highly addictive and hilarious! A brilliant book for big readers . I could never stop reading it . 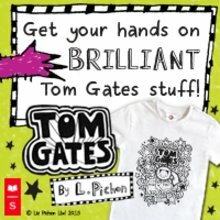 This book is really funny and shows how Tom Gates just about gets through some of his problems. This first book is like a beginners guide to everything that Tom likes and dislikes from caramel wafers to Marcus Mildrew. 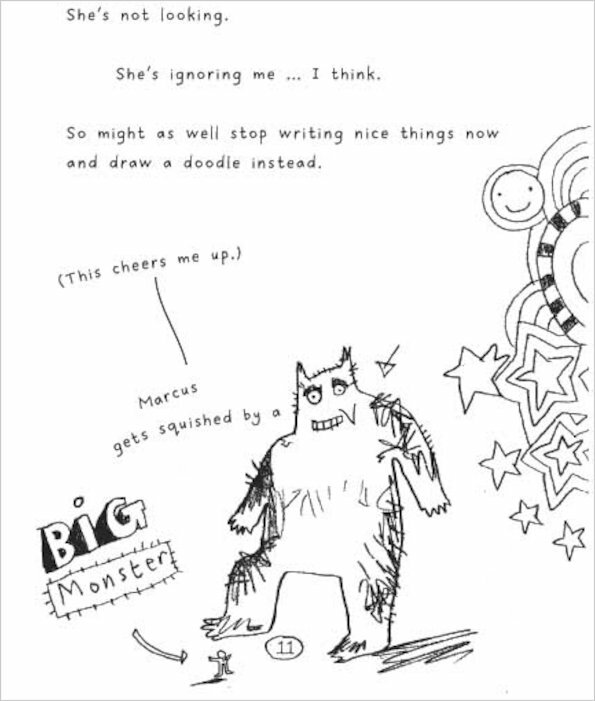 I love Liz Pichon’s way of writing at the illustrations suite exactly what things look like as well. I would recommend this book to ages 7yrs – 14yrs. I think this book would be excellent for all aged children I think they will find it hilarious!!! its really good i would reccomade this.read it online or save up for the book if you dont like reading and at school the techers want you to get this book and the techers will be susprised. Very funny book really like this. I liked this book because it was funny and i liked all of the different drawings in the book. I like Tom because he is good at drawing doodles . it is funny it makes me laugh. all must read it. 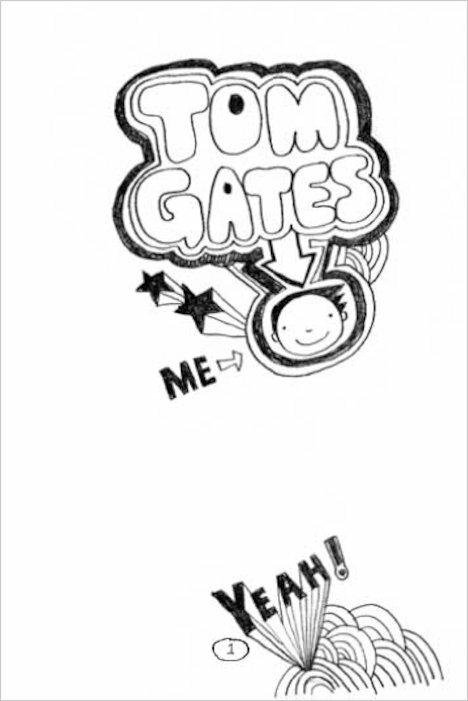 Loved it I love all Tom Gates books and think everyone should read them. I have read them about 10 times each and still not bored. It is one of the greatest books you could imagine. Amazing! Literally, everyone should read this book then move on to #2 then #3 ext. Very humourous, emotive and highly attractive. Seriously, was and still is the best series of books I’ve ever read. I loved the book since I have seen the cover of it. I was stunned and developed a lot interest in reading since I starting reading this book. 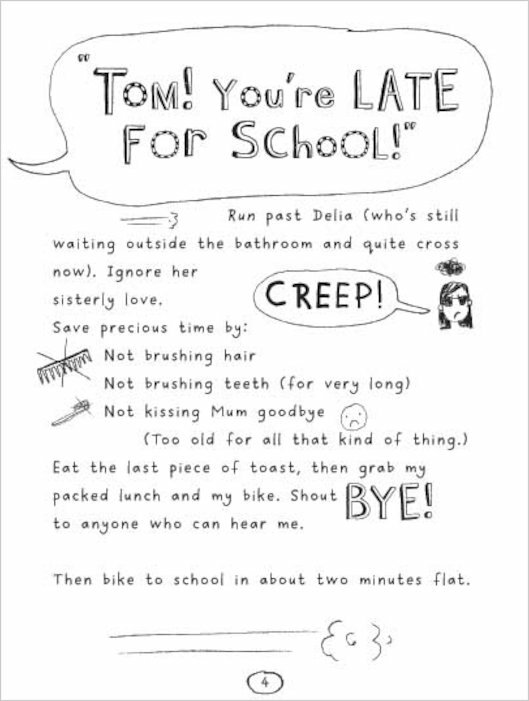 I would love it if the author Liz Pichon would write more series on this book, I always read Tom gates. It is even so, interesting that when I have finished the book I want to read it all over again. This book is really cool at the start but when you finish it, you really don’t want to leave it! I also like it because he draws on it! I like the style of how this book is written for example Amy potter is wrote really bold so it stands out because tom likes her. He likes her because she’s smart and he like to sit next to her so he can copy her work to get all of his answers write. 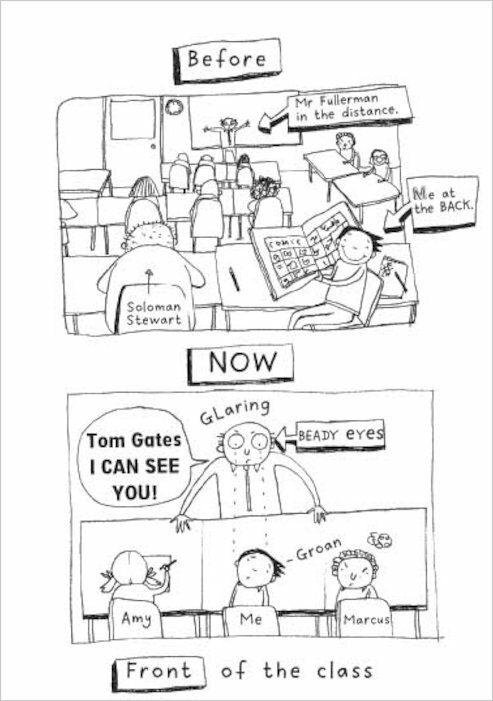 I’ve read at least 4 or 5 tom gates book I love them that much!!! 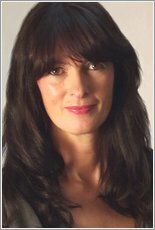 I loved it when Delia’s hair turned green and she didn’t want to leave her room or play with her friends!!!!!! When it was the fossils 60th anniversary and they had a picture taken which turned out wrong so tom’s dad changed and made it look like everyone was smiling especially Delia. Without telling anybody he sent the wrong picture to the fossils and luckily they loved it. 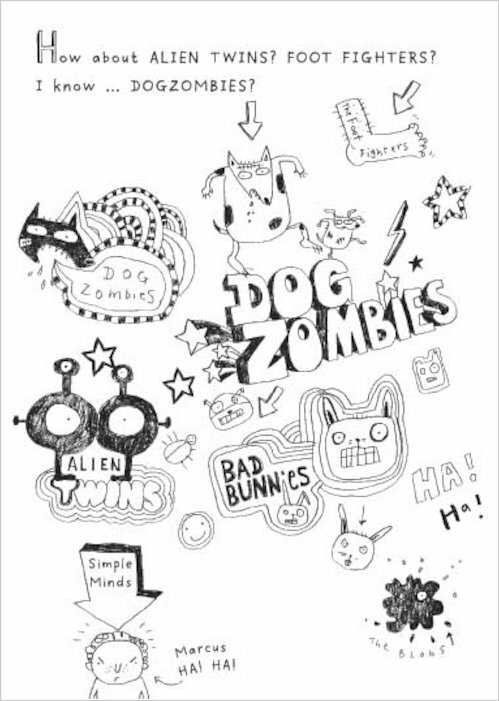 That’s what I loved in one of the tom gates book as well as the doodles. A really good idea in one of the books to make a little flick book of a bug dancing in the corner of the page. THIS BOOK IS THE BEST! It was funny and awesome I think people should read this book and go ha ha ha ha ha!!!!!LLOOLL!! In this book they said a word like sweets (wafers) and they put a picture of the wafers next to the words. This makes it much more interesting and fun to read. The story was quite funny too. BRILLIANT!!! I loved this book. this book is so awesome. 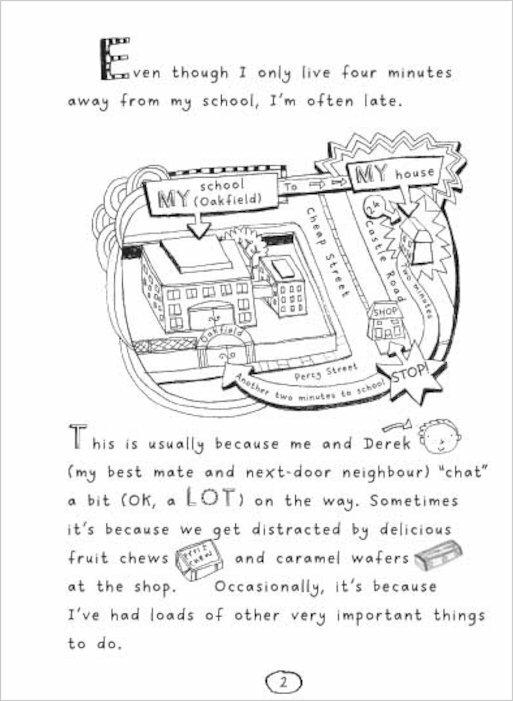 This is the first book in the seiries and is a great way to introduce Tom gates. If u love art and funny story’s than this books for u . if has a funny meaning so READ IT NOW !!!!!!!!!!!!!!! I loved it so u will all my friends say its 10/10 or 9/10 no one said 1/10 or 2/10 . you buy it in whsmith and bookpeople or here ok . I’l say the beginning is cool and easy to read and the end is like you don’t want to leave the book. I promise you you will not be disopointed ok . I love it so much. There are more of them and there called Exelent Exuses, sorry I forgot the rest. Any people like me who has read them co read em or them. I love writing on laptop so fun!!!!!!!!! 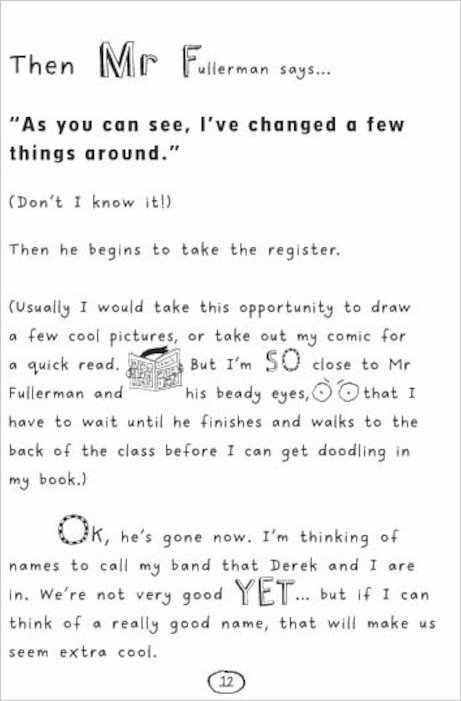 if u love Tom gates u will love dork diarys and david walliams. I vote the book out of 10 10 because it has a meaning and I love funny books. BYE ohh and buy the book ta ta !!!!!!!!!! I think it was good I read 2 whole tom gates books. he’s awesome! 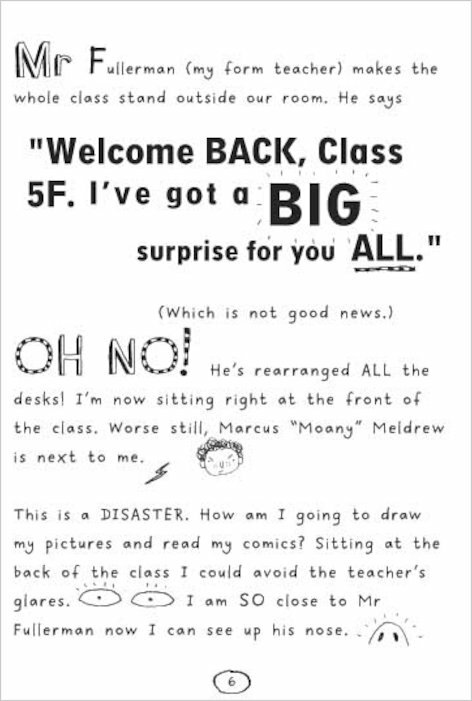 i am going to read this book after i read my other tom gates book i can`t wait !!!! this book is funny. you should read this book and put it at the top of “must by” list. 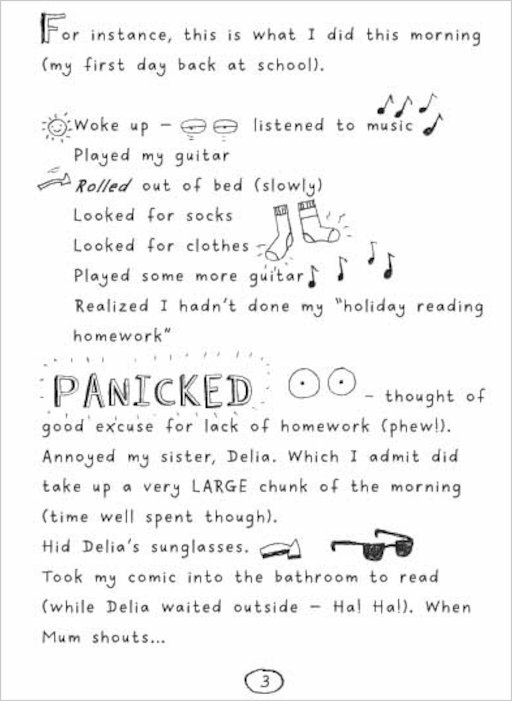 i thought it was a fantastic book and want to read the others i finshed the book within to days because i because i was reading it all the time! I thought that the book was brilliant and it inspired me to get the other ones and i did and now i have read all of the book and i hope their will be more of them. this is the best book ever and can not be beaten it can only be beaten if there is a new tom gates book that better maybe.But other than that it can’t be beat. This book is sooooo good so I added it to my best books in my details list. I have all the others and are half way through reading them. Just like it says on the cover: ‘read it and go ha ha ha’ Tom is so funny. 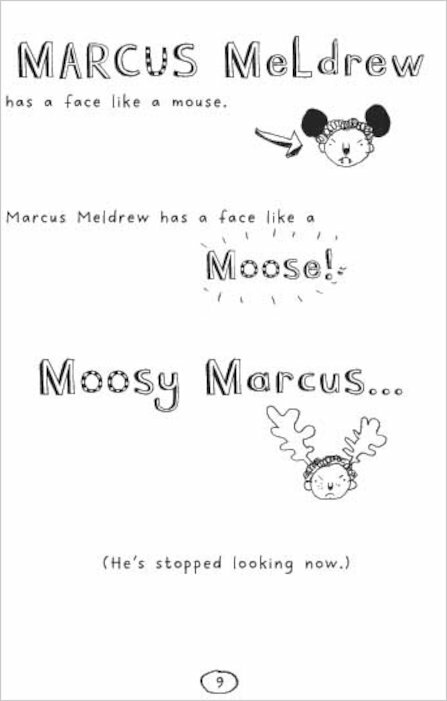 Marcus really gets on his nerves a lot and he got on my nerves when i was reading it as-well!!! I thought it was brilliant! Too good to describe!! this book is so funny. i would recomend it to any one who likes funny stuff.this book is best suited for 7 to 13 years olds. it is a book which you can get stuck into very quickly and would be great for a bedtime story’ one chapter a night. 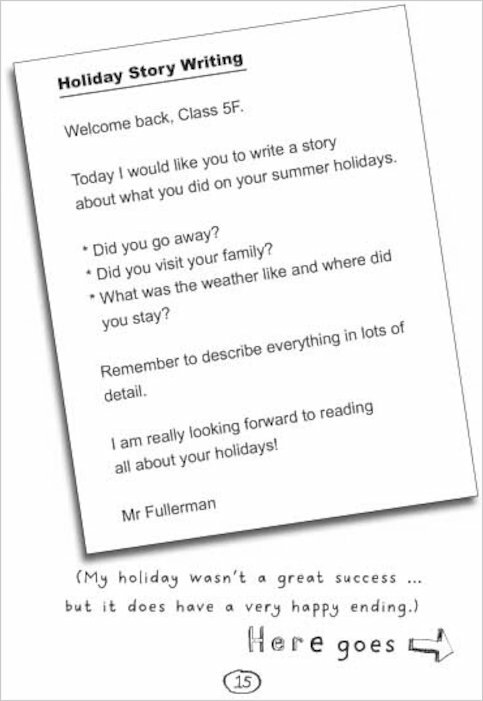 My favourite part was at the Dude3 concert when Tom was begging for tickets when all of a sudden Mr Fullerman, Teacher of class 5F (Tom’s Class) comes along. Up until this point Tom thought that teachers didnt have a life. My favourite character was Granny because she made many wacky meals for Tom and his family. My least favourite character was Kevin because he was always mocking the Gates family. I rate this book 9/10, I would love to read other Tom Gates books because they are well in the league of Diary of a Wimpy Kid, which I greatly love!!! 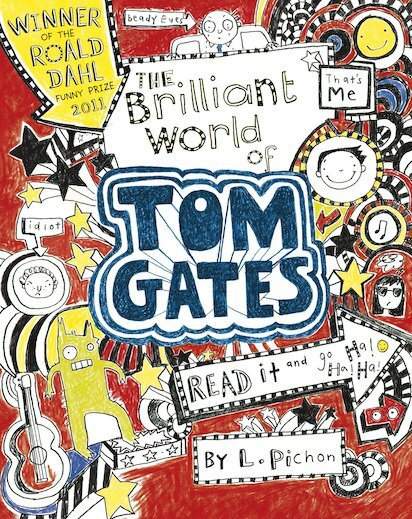 Tom Gates his teachers do not have their eyes on him he likes to draw pictures of his sister and ways to really really annoy her. His teachers think he is really distracted and “lacks focus” even though he thinks is a bit harsh because he sometimes concentrates but only when it comes to biscuits. He discovers one of his teachers has a moustache which is very weird because it is a LADY!!!!! So in front of her and the class instead of calling her Miss Worthing he calls her Miss Worthing-tash!!!! It was so embarrassing for him!! This is a very amusing book and should be read by everyone!!!! I think this book is for ages : 9-11. This book is both for boys and girls.